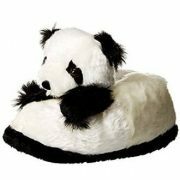 Who says keeping your feet warm and cozy can’t be fun? 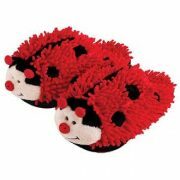 Cute animal slippers can put a smile on your face while providing comfort to those aching toes, feet and heels. 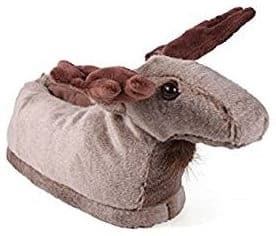 Especially, moose slippers make cute fun gifts for anyone who is a moose lover or an animal lover for Christmas, birthday or any other special occasion. 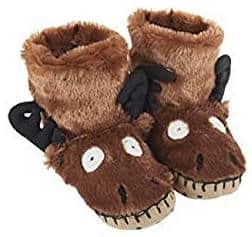 In this review, let’s have a look at some fun and cozy Moose slippers for adults and kids that are sure to be a big hit with most people. These Happy Feet Moose Slippers are available in sizes for men, women and kids including toddlers. This cute little moose with bright eyes and perky little antlers sticking from the side of its head features a polyester upper with foam rubber and a no-skid bottom. 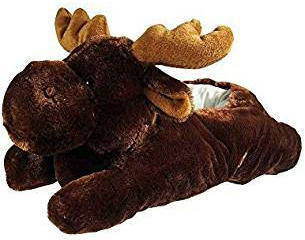 People who have purchased these moose deer slippers find them to fit well and be of great quality. 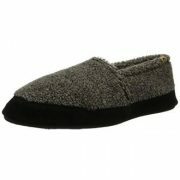 They also like that they are warm, soft, and fun to wear. These adorable Acorn Moose Bootie Slippers come over the ankle. 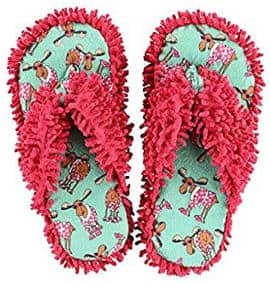 They feature a terry cloth moose with pink antlers and have double gore elastic detail on both sides, a terry lining, and a memory foam footbed with a non-skid flexible sole. 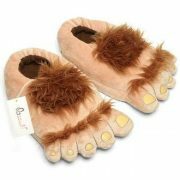 Kids love wearing these “stuffed” animals on their feet. 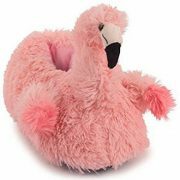 Other characteristics that users like about this fun animal footwear is that it is very good quality as well as fun, warm and soft. 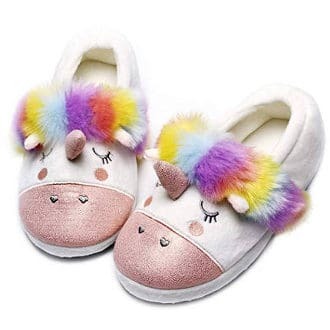 If you are looking for a pair of cheerful and fun deer animal slippers, then these fuzzy slippers are a great choice. They come in various colors and designs. 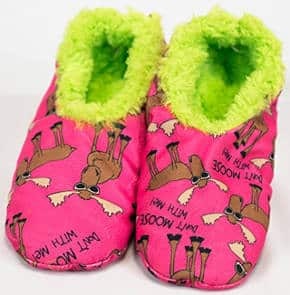 There is one that is bright pink on the outside with a cartoony moose print and a green fuzzy lining on the inside as well as a blue classic moose version, a pink classic moose option and one that features moose in different colors and patterns. People review that they are comfortable, warm, and soft. 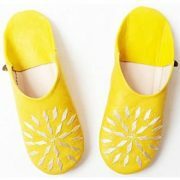 They love the vibrant colors and the light weight, and feel that the slippers fit extremely well. These adult sized moose slippers are cute and fuzzy. 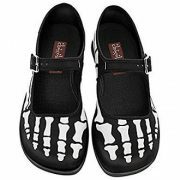 They come with a money back guarantee and feature a polyester upper with a padded footbed and non-skid dots on the bottom. The moose is extremely cute and has stand up antlers. 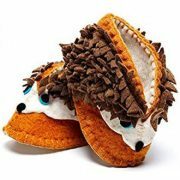 Users find these animal slippers to be extremely well made, cute, soft and comfortable. The details on the product are also great. 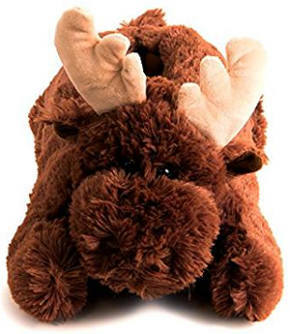 These Wishpets Moose Slippers look more like a cute and cuddly stuffed animal than a pair of slippers. They are true to size and feature a synthetic upper and a foam cushioned footbed. The surface can be washed. People who have purchased this footwear say that it fits well and goes on and off easily. It is ideal for cold winter nights and is sure to put a smile on most people’s faces. It is also cute, warm and comfortable. 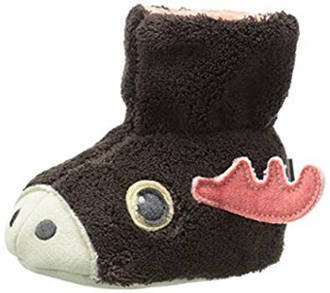 These moose bootie slippers are very cute and are available in toddlers’ sizes as well as big kids’ sizes. Both the upper and the lining are 100% polyester while the outsole is micro-suede with dots and the name of the brand on. While people find these fluffy booties very cute, they admit having had problems with ordering the right size since, according to some reviews, they tend to run small. The advantage though is that they feel soft, comfy and flexible. Kids seem to love them as well, and apart from the moose design, there are also a lot of other cute animal designs to choose from. 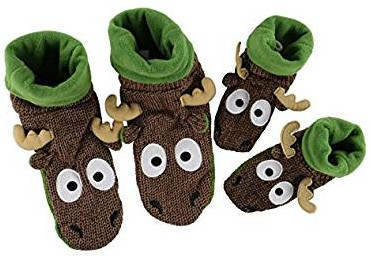 These adorable Moose Boots can also be worn as slippers and they are available in toddlers’ sizes as well. 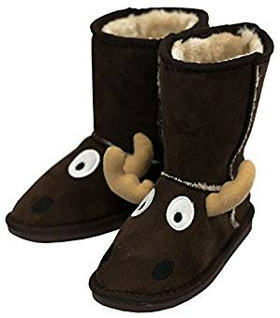 They feature a faux suede upper with a cute moose face and antlers as well as warm fleece lining and flexible outsoles made from rubber. People review that they are well made, comfy, soft and warm. 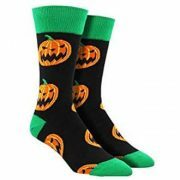 They can be worn both indoors and outdoors, they are easy to put on, and Kids love wearing them. Their price is great, too. 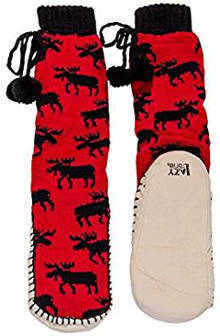 These MukLuk Moose Slipper Socks are cozy and fun to wear during winter and Christmas holiday season. 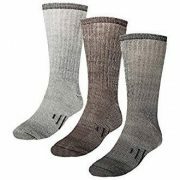 They are double layered to offer some extra warmth and come up to the mid-calf featuring a drawstring top for a snug fit. 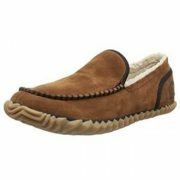 The outsole is faux suede and hand-stitched. Users like the fact that these animal slipper socks stay up on the calves and are stretchy. They are also pretty, comfy, warm and very good quality. The pom poms may not be so sturdy though. 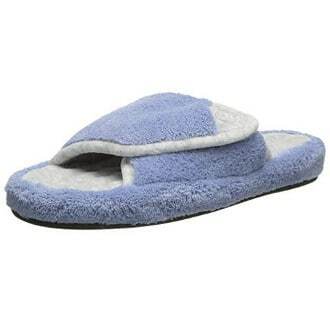 These flip flop moose spa slippers for women are very cute and low priced. They are made from a polyester and cotton blend, and are machine washable. 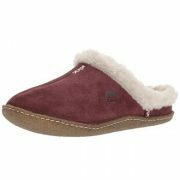 They also feature a thick and cushy sole made of soft fabric. Users review that these moose thong slippers are fun but the sole tends to flatten out. These Woodland moose slippers are available in sizes for infants, toddlers, big kids as well as women. They are made from variegated yarn and the moose has applique nose and eyes. 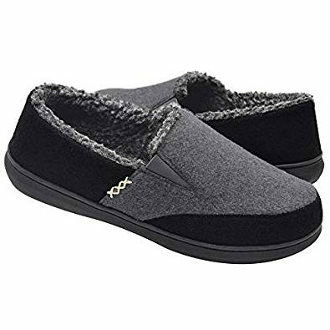 The lining is fleece and the ankle cuff keeps the feet warm and fuzzy. There is also a non-skid outsole. 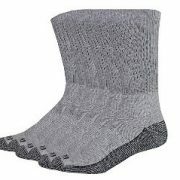 Users like that these slipper socks are easy to put on and off, keeping feet warm and feeling comfy. 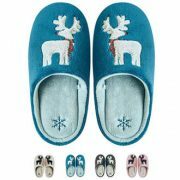 All in all, if you love deer and moose, the moose slippers for adults and kids including toddlers in this review make fun gifts for any occasion including Christmas and birthday.